create it. record it. perform it. 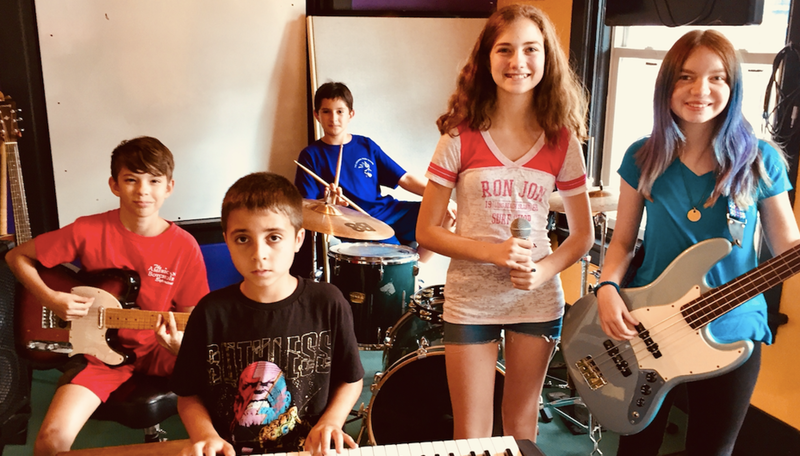 in this course, STUDENTs are grouped into a mentored band BY AGE, EXPERIENCE, AND MUSICAL PREFERENCE where they will learn the art of collaborative songwriting AND RECORDING IN PROFESSIONAL RECORDING STUDIOS. each band then gets to perform their masterpiece in a live venue. Musical Structure Students will learn how to create melodies, AND HOW TO APPLY THEM IN VARIOUS SONG FORMATIONS. Lyric Content Students learn how to properly use words, phrases and rhymes, as well as creative ways to spark a single thought into COMPLETE FINISHED song. Style & arrangement. Students WILL learn how TO arrange songS IN VARIOUS GENRES. CONTACT US & FIND OUT HOW TO GET YOUR CHILD STARTED!